One of the surest ways to kill your fitness dream is to get inadvertent injury in the beginning of your fitness program. Exercising can benefit your body in a number of ways but it also accompanies potential risks if not done in proper form or using wrong technique. Exercises can lead to moderate to serious injuries, so it is wise for you to consult your doctor or a certified professional instructor before taking up any exercise. Chronic problems like heart problem, severe obesity, asthma, high blood pressure, or suffer from excessive mental stress. Musculoskeletal problems like a bone or joint injury/issue (present or past), susceptibility to muscle tear, etc. Occupational pain like tingling sensation or pain in your back, neck, shoulders or upper body discomfort after long hours of sitting. Any kind of chest pain after or during the workout or any symptom like losing breath after mild exercise that takes more than 5 minutes to go away. Pregnancy, old age or having any physical or medical reason that needs constant attention. Just make sure that there aren’t any signs or problems specific to your health history that you think may interfere with your exercise routine. In all such cases, you MUST consult your doctor or a certified fitness instructor. They might be able to help you better tailor your exercise plan to make sure that it is SAFE for you. It is important to note here, that delayed muscle soreness that starts after 12 to 24 hours after a workout and gradually goes away, is a normal response of your body. But if it starts during or right after the workout or doesn’t go away for weeks, you NEED to consult your doctor. We know that you might have begun to feel OVERWHELMED with the potential risks that exercises can lead to, but this should NOT deter you. Because inactivity poses greater risks to health and fitness than exercising safe. Always warm up and cool down appropriately. Don’t ignore them. Use Correct Technique – never cheat or use loose form. Don’t sacrifice good form for higher weights or faster reps.
Use a smooth and controlled rep cadence. This means that you start slow and gradually increase your activity level. In short, pace yourself to perfection. Avoid single rep or very low-rep work. Perform sets of at least 6 reps.
Use exercises that are appropriate for you and if necessary, modify them to make them safe for you. Take the instructors help in doing that. Stay clear of risky exercises such as behind neck presses and pull-downs. Use exercise weights that are correct for you. E.g., choose a weight that lets you do your target reps in good form. The last two reps must be tiring. Avoid excessive ranges of motion. Personalize your training. You know your strengths, weaknesses and limitations better than anyone. So what works for someone else or your training partner, may not work for you. Avoid “rush of blood” that leads to reckless training. Always be 100% focussed and attentive while you train. Don’t over train yourself. E.g. If you squat hard twice a week, you may get sore knees. Note that excessive training frequency causes injuries like stress fractures, stiff or sore joints and muscles, etc. Use robust and secure training equipment. Keep yourself flexible – perform safe, full-body stretching sessions once a week. A periodic check up from a physiotherapist. Avoid extreme muscular soreness by gradually introducing changes in exercises and training formats. Stay hydrated. Do not work out in temperatures above 40 degrees Celsius. Choose cooler-mornings or moderately cooled air-conditioned gym. If your exercise gets interrupted in between, you can drop to lower level exercise again. E.g., lift lighter weights again and gradually move up the level. Choose clothes and shoes that are appropriate for that exercise. Take care of your shoes and replace them when cushioning wears out. Don’t cut down corners with your rest and sleep schedule. This is most important yet the most commonly overlooked problem with most exercise routines. Spacing rest days appropriately in your exercise routine allows time for proper recovery and strengthening of body. Risks of injury increase dramatically for excessive frequencies and higher intensities of workout. It also depends on the type of sport you choose. Doing more vigorous exercises 30 to 60 minutes right after a normal physical exercise are potentially the times of increased risk levels. For beginners, it is best to avoid sports that have high risk of falls, impact injuries or head injuries. Ideally, walkers report the lowest injury rates of 1 to 5%. 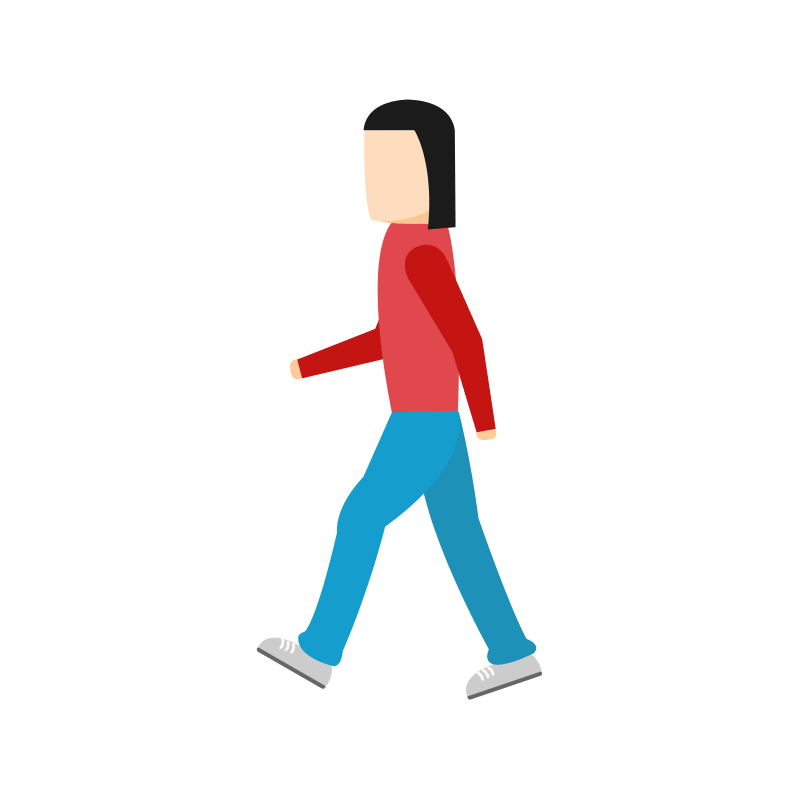 So if you’ve been living a sedentary lifestyle, are an older adult, or possess any physical or medical condition, then it is best to start with walking and do only light to moderate exercises. Exercising safely is one thing, but doing it effectively is another. We become what we repeatedly do. So it’s important that you get the basics right from the very beginning itself. Whether you’re playing a sport, working on a mathematical problem or building your body, great success starts with the fundamentals. 1. Drink up to work out: Because water is essential to maximize metabolism, you will not reap the full benefits from your exercise routine unless you stay hydrated throughout. You can boost your body’s performance on workouts simply by keeping topped up with water. Studies have shown that just a 3% loss in body fluid can lead to a 7% reduction in overall physical performance. So drink plenty of water before, during and after your workouts. 2. Don’t starve if you want to stay fit: People who don’t feed their body enough fuel in the form of carbohydrates and proteins can’t reach same exercise intensities as others. And therefore, they don’t achieve the same metabolic changes or weight loss with exercise. For more on nutrition during workout, read our next section. 3. Belt Up to Cure Side Pain: If you often suffer from side stitches when you exercise, wearing an exercise belt can prevent pain. Raising your arms above could also help. 4. Be a variety performer: For most of us, doing the same workout routine daily can induce boredom, not only in your head but also in our body, as it adapts to tasks. So vary your workouts and type of exercise to boost mental and physical fitness. 5. Put your back into it: When devising a complete exercise plan, don’t forget back exercises – although they might not seem as those showy triceps curls or leg squat, a strong back is an absolute key to effective injury-free training. 6. Steer clear of a caffeine stitch: To avoid a painful side-stitch while you’re exercising, avoid drinking caffeine for at least an hour before you start. Caffeine drinks, particularly if they are carbonated as well, have been shown to increase side-stitch pain. 7. Go straight to the weights: Experts suggest that weight training should be done before any cardiovascular work in the gym, because it requires fresh energy. Cardiovascular exercise requires less energy and helps flush toxins away from muscles. So it should be saved for the end of a workout session. There is no one Giant Step that does it. It is a lot of little steps. If you have been a regular gym veteran or somebody who knows a bodybuilder then you must have heard them repeat this phrase a number of times to encourage a newbie to work harder. BUT did they ever tell you that it’s only half the truth? Yes. Muscles need time to recover and grow as well. Just as your brain needs sleep to consolidate new information after a learning session, your muscles need time to rest and recover after a hard training session. Rest is often forgotten even though it is critically one of the most important factors in making performance and fitness gains. Of course, training is a necessary stress. But in order to maximize gains in performance and fitness, it is equally important to optimize the relationship between stress and recovery. How to utilize the “rest” day? How much time is needed for recovery? What are the best recovery strategies? Whether you’re just a beginner or an advanced fitness trainer, it is wise to know that the “more is not always better”. You can’t accelerate your results by training harder. You just increase the odds of possible overtraining breakdown due to repetitive stress injuries (RSI). 4.3.1 WHY IS REST IMPORTANT? It is not “exercising” that benefits your body. It’s the body’s response to exercise that benefits the body. When you exercise, your body undergoes a series of stresses that initiates the adaptation process leading to fitness and performance gains. One line answer – Adaptations (leading to fitness & performance gains) don’t occur till you give your body a chance to rest, repair and recover. 4.3.2 HOW SHOULD YOU SPEND YOUR “REST” DAY? It is also important to outline here that rest doesn’t mean “bed rest”. The idea is about “active rest”. Doing light activity or exercise while you avoid the use of already worked-up muscles that need rest is the “rest” we’re talking about here. Of course, your worked-up muscles need rest. NOT the whole of you. So rest is best when you try to stay active as well. You can use the rest time concentrating on improving your technique and movement, working on opposing muscle groups or foam rolling tight muscles with light movement. The idea here is that you give yourself well-deserved “rest” days where you can focus on improving your technique, skill and movement without worrying about the number of sets and reps.
How much and how often should you train? How long does it take for recovery? Research indicates that after moderate exercise, your body needs only a couple of days for muscles to recover to their full strength except for more intense workouts that may require a longer time i.e. up to 7 to 10 days. You can work out the same muscles twice a week as it doesn’t slow down your recovery process according to Journal of Strength and Conditioning Research, 2002. Another research indicates that almost all the benefits of resistance training are likely to be obtained in two 20 min training sessions per week. It is suggested that 1 set per session of 8 to 12 reps is effective but 2 to 3 may be better depending upon your level of fitness. Recommended recovery period is 48 hours between two consecutive sessions of strenuous exercise like strength training. However, light exercise or ‘cardio’ can be done almost all days of the week with no ill effect. For instance, if you do a full-body strength workout on Monday, you should wait until Wednesday to repeat it. Tuesday, you can go for an aerobic or stretching exercise session. Rest is equally important during workouts as well. E.g. If you take up an intense workout, then it requires about 20 to 30 minutes of rest to get your strength back for yet another intense workout. For Light to Moderately Intense activity, a good sleep may be enough as rest. For Moderate to Highly Intense activity, you can take the next day off or do a lighter activity. Even though, the actual recovery of muscles and gain in strength can take about a week yet you can start after a day at rest. As research suggests that after a day of rest, doing the intense workout again doesn’t slow your recovery process. Only you aren’t able to do it at your full-strength. By optimizing your rest and recovery, you can also reduce residual fatigue, muscle stiffness, muscle soreness and the decrease in strength or skill level that occurs in less conditioned bodies or in newbies in fitness. Having good recovery strategies in place can help you to condition your body to exercise in a way that enhances the adaptation process of the body, thereby, leading to faster performance gains and better fitness. Sleep is the most important element of rest and recovery. It provides time for the body to adapt to the physical as well as mental demands of training. 8 hours of sleep per night is a good general guideline. If your body is fully hydrated and nourished, it aids in good recovery. Drinking adequate amounts of water and efficient nutrient intake is crucial for many body functions. Stretching and cool down exercises just after training (within 10 minutes of finishing the exercise) help in gradual relaxation of muscles and prevent muscle stiffness. We’ve included some basic warm ups, stretching and flexibility exercises in the appendix of this guide. A good massage can really help with increased blood flow, enhanced oxygen and nutrient delivery to muscles, reducing fatigue and body stress. It also aids in increasing flexibility and giving a general feeling of relaxation. Rest is definitely an important part of a complete fitness plan. However, you should balance it with adequate exercise to achieve your fitness and performance goals. Frequent standing and moving breaks is recommended for those who have a desk job at work.